AS 2018 comes to an end, let us look back this year’s highs and lows- stories that shaped Negros Occidental, from the political merger to inflation woes to scores of killings and arrests. Nevertheless, the year has been a milestone for the province, especially its capital Bacolod City, as it hosts major developments seen to boost local economy mainly through the creation of more employment opportunities for Negrenses. Nine farmers were brutally massacred at Hacienda Nene in Barangay Bulanon, Sagay City on October 20. All victims were resting in a makeshift tent in the said village when some unidentified armed men fired at them with high-powered firearms. Three of them were partially burned. 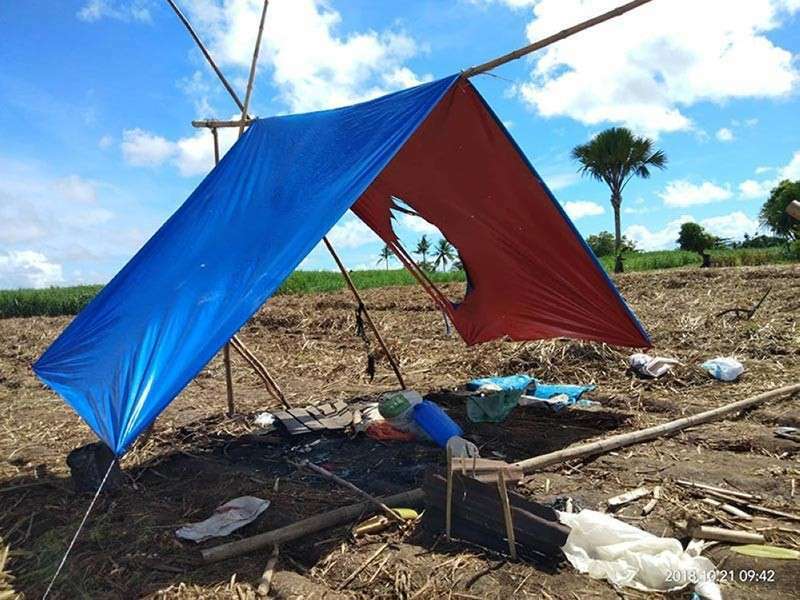 Barely a week after the incident, the Negros Occidental Police Provincial Office has filed multiple murder charges against Rene Manlangit and Rogelio Arquillo, and seven John Does. Manlangit and Arquillo were tagged behind the killing after they allegedly recruited the victims to be members of the National Federation of Sugar Workers, which was considered by the state forces as a legal front of the New People's Army. Both suspects denied the allegations. Later, the National Democratic Front tagged four members of the Revolutionary Proletarian Army as the perpetrators of the brutal killing but was denied vehemently by the former rebels. A major political breakthrough happened in Negros Occidental after the two political groups, the United Negros Alliance (Unega) and Love Negros, merged for a united vision. The merger fielded the tandem of Vice Governor Eugenio Jose Lacson of Love Negros for governor and former Fourth District representative Jeffrey Ferrer of Unega for vice governor. The tandem was unopposed. Third District Representative Alfredo Benitez made the official announcement of the merger and nomination of Lacson as the official candidate for governor while Governor Alfredo Marañon Jr. made the official announcement on the backing of Unega of Lacson's nomination and nominated Ferrer as the party’s official candidate for vice governor. Marañon lauded Benitez for sacrificing his political future for the good of the province. Benitez, for his part, said the merger will not be possible if not for the governor’s decisiveness and vision. Lacson, Ferrer, and other provincial candidates for the May 2019 elections filed their certificate of candidacy on October 16. The candidates for congressman were San Carlos Mayor Gerardo Valmayor Jr. for the First District, incumbent Congressman Leo Rafael Cueva for the Second District, Francisco Benitez for the Third District, incumbent Congresswoman Juliet Marie Ferrer for the Fourth District, Maria Lourdes Arroyo for the Fifth District, and Genaro Alvarez Jr. for the Sixth District. Meanwhile, the barangay and youth council elections were dominated by the members of Love Negros and the seat for Liga ng mga Barangay Representative was won by the member of the group. Property giant Megaworld Corporation is pouring in P28 billion for another township development poised to be the new and modern central and business district in Bacolod City. Described as "one of a kind," the development of the project called The Upper East starts in 2018. It was officially announced by Megaworld officials in a media briefing at L'Fisher Hotel in Bacolod City in July. The 34-hectare mix-use development project is located on the eastern side of the city, near the government center, that used to be the Bacolod-Murcia Milling Company compound. It forms part of the total 87-hectare township development projects of Megaworld in the province worth P35 billion and up for completion within the next 10 years. These are seen to provide jobs to thousands of Negrenses and boost the tourism industry of the province. The other project is the 53-hectare Northill Gateway worth P7 billion situated along the airport access road. It borders the cities of Bacolod and Talisay. One of the major attractions of The Upper East is the P500 million worth of luxury boutique hotel. Positioned to become another landmark of the project, its development will start late next year and is expected to be completed in 2022. 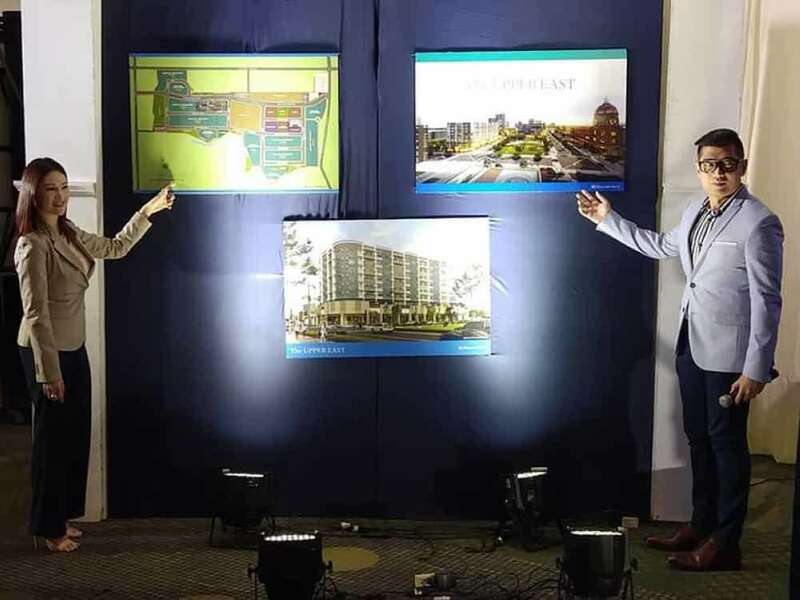 “The Upper East will be the city's first master-planned mixed-use community that integrates the live-work-play components of an integrated urban township, the concept that Megaworld pioneered in the Philippines,” Megaworld–Bacolod vice president for sales and marketing Rachelle Peñaflorida said. Another property giant, Ayala Land Inc. (ALI), has expanded its development in the province and the city. 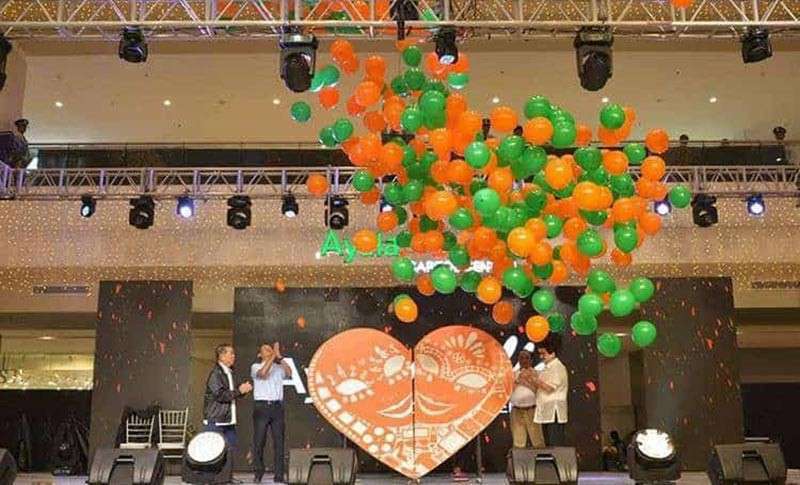 Earlier this month, ALI opened its P5.2 -billion Ayala Malls Capitol Central in Bacolod City, the second largest in the Visayas and Mindanao in terms of mall projects of Ayala. But more than just the opening of the new mall, the company believes that the activity is a celebration of a lasting and deep partnership of the company with the people of Bacolod City and Negros Occidental. “Bacolod is a strong market,” ALI senior vice president and head for commercial business group Jose Emmanuel Jalandoni said. For Jalandoni, the 6,000 jobs the mall will be giving to Negrenses once it will be fully operational "shows our continuing commitment to the city and province." The development along Gatuslao Street, at the back of the Provincial Capitol building, is positioned to showcase the best of the city alongside global brands. The seven-storey commercial establishment is also poised to strengthen the Negrense tradition by showcasing the best home-grown products and concepts. Expressing certainty that many investors from Manila will also come to the province as what has been pioneered by Ayala, Governor Alfredo Marañon Jr. said the edifice will be the catalyst for progress and change in the province. Also, over P5 billion worth of investments have also been poured in by property firm Cebu Landmasters Inc. (CLI) for Bacolod City, which it considers as the "next big thing” in terms of real estate development. 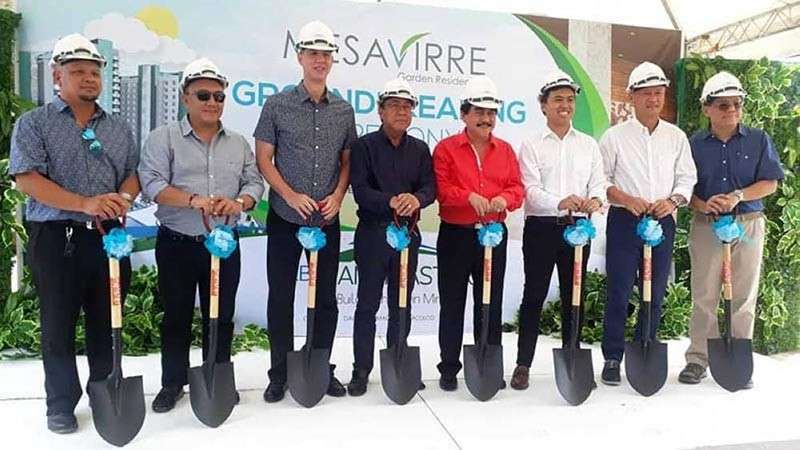 Forming part of these investments is the company’s maiden three-tower residential project in the Negros Occidental capital city called MesaVirre Garden Residences. It broke the ground in April, the project which will be located in a 3.6-hectare property in Lacson Street in Barangay Bata. CLI chairman and chief executive officer Jose Soberano III said the project will be able to attract condominium living in the city. Soberano reiterated that the project will surely expand the residential growth in the city which now stand as one of the fastest growing centers in the country. “Investing here is a manifestation of our confidence for Bacolod City. Obviously, the developments here all point to that direction where investment and business climate are encouraging businessmen like us,” he added. 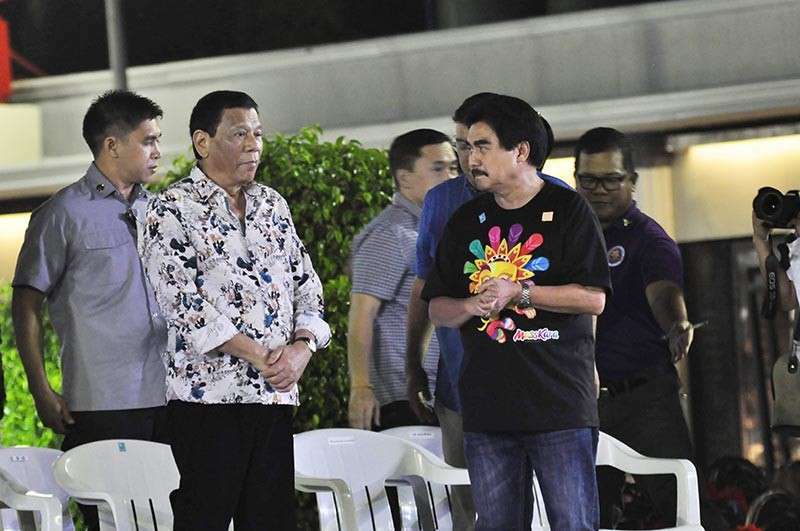 President Rodrigo Duterte joined the 39th MassKara Festival of Bacolod City in October. Duterte said this annual event is an inspiring story of the Filipino resilience and not just a time for revelry and colorful costumes. “It is proof that despite the many struggles and hardships we face, we can overcome any adversity through cooperation and perseverance. As we celebrate the creativity and beauty of Bacolod, I laud the craftsmanship and talent that have been showcased throughout the entire festivities. The colorful and dynamic spirit of the Bacolodnons is indeed a true reflection of our identity as a people,” Duterte said. Duterte has been gracing the MassKara Festival since 2016. 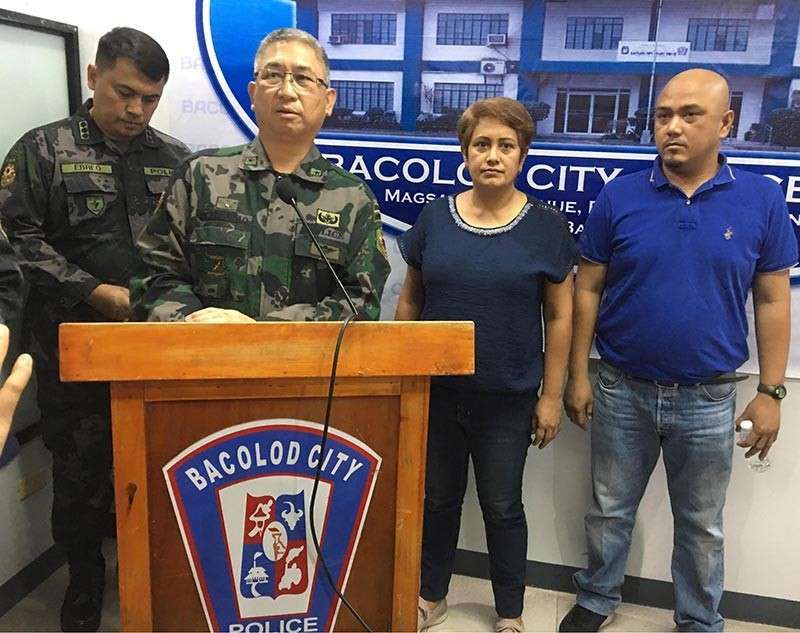 Moises Padilla Vice Mayor Ella Garcia Yulo and her husband, Felix Mathias Segundo Yulo III, surrendered to the authorities in Bacolod City on September 11. They were charged for illegal possession of explosives, and illegal possession of firearm and ammunition before La Carlota City Regional Trial Court (RTC) Branch 63 Judge Cyclamen Jison-Fernandez. The couple surrendered to Chief Superintendent John Bulalacao, director of Police Regional Office (PRO)–Western Visayas, at the Bacolod City Police Office (BCPO) headquarters, in coordination with Senior Superintendent Francisco Ebreo, acting BCPO director. The warrant of arrest for illegal possession of explosives has no bail while the other arrest warrant has a bail of P200,000 each. In December 2017, the couple was arrested at Crossing Magallon, in a police checkpoint led by Senior Inspector Allan Reloj, former Moises Padilla town police chief, which resulted to the alleged confiscation of two fragmentation grenades and several other firearms and alleged illegal drugs. However, the drugs were later found to be fake after it was closely examined at the Provincial Crime Laboratory. Meanwhile, despite the accusations against her, Garcia-Yulo still filed her certificate of candidacy for mayor before the Commission on Elections in the town on October 16.